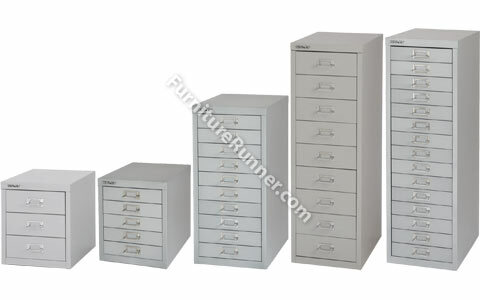 Bisley Multi Drawer Cabinets make great storage units for office or home use. Available with a choice of drawer heights and multi-compartment insert trays for small item storage. Suitable for A4 filing. NB. Cabinets are non-locking.